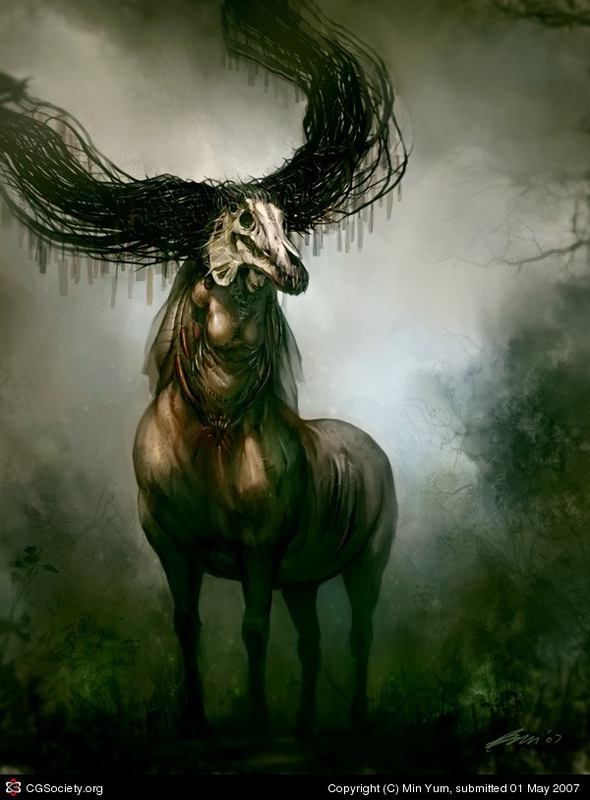 Here's a recent image I did for ChOW activity at conceptart.org, "death's horse". I guess everyone was doing the death grim and all I really didn't have a choice but to look for something slightly off the path. The idea is the horns carry a name tag, kinda like your soul as it comes and collects it.. or something along that line. Painted in Photoshop and steps coming up!